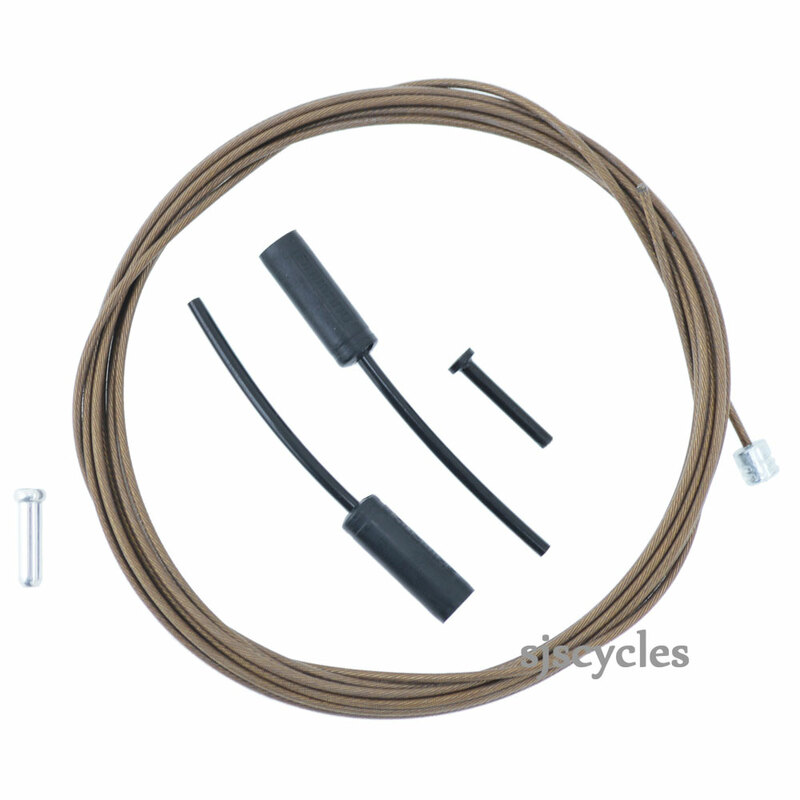 - Polymer coated stainless steel inner gear cable for the ultimate in smooth shifting performance, designed to complement the top-of-the-range Shimano Dura-Ace 9000 gears system. - The Polymer coating is applied in a spiral formation around the stainless steel inner wire providing excellent support for the silicon grease and reducing the surface contact of the inner wire on the outer casing. - The Polymer coated is applied to precision ground round inner wires all combining to create a smooth low friction shifting action with increased service life due to its anti-corrosion nature. - Suitable for front or rear mechs, just cut to fit. - Use with SP41 gear cable outer. Is the price for two cable's?